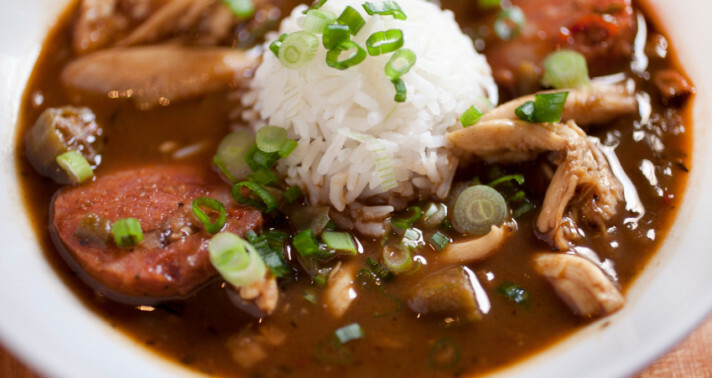 Does Your Content Stand Out in the Facebook Gumbo? How much time do you spend on Facebook, whether for personal or professional reasons? According to Facebook, 483 million of its 845 million users worldwide log on daily. And according to a study we conducted last year with Chadwick Martin Bailey, more than half of Americans spend at least one hour a week on Facebook. That means there’s a lot of stuff to see: photos of kids and wacky coworkers, music videos, blog posts and other articles, questions about what new apps to download or what to eat for dinner, grumblings about a tough day at work, song lyrics, or something else your friends, family members, or peers decided was worth posting. How many of those things get you to stop scrolling and respond with a “like,” comment, or share? On any given day, at any given time, Facebook is one giant gumbo with a mix of ingredients going into the experience that is different for each user. Some of the pieces of content are “chunkier” than others, and they get you to “chew” longer. Others blend right in to the broth. The goal for you, as a business or organization, should be to mix in to that stew and get your fans to stop, take notice, and engage. The best way to do it is with the same kind of content that’s getting other Facebook users to engage. We call it “rich media,” but you can just call it multimedia — photos and videos, for example. Studies (such as one by digital marketing agency Web Liquid) show that this kind of content leads to the highest engagement. Also, asking questions will get your fans to stop and share their thoughts. Not everyone will comment, but chances are good that your fans will be curious about what others have to say. Of course, while engagement is nice, what you really want on Facebook is for your fans to take action. According to a related study by Momentus Media, brands that include simple, clear calls to action — such as asking fans to “like” or “comment” on a post — saw higher interaction rates. And that’s what it comes down to, isn’t it? It’s not just about getting fans to engage or interact. It’s about getting them to take action and do something, whether that’s “liking” a post or sharing content, or downloading a whitepaper, making a donation, or taking advantage of a special offer. Speaking of taking action, it’s not a bad thing to pepper in some promotional messages with your helpful, fun, engaging content. Just remember to maintain a healthy balance of the two, lest you come off like a pushy salesperson. Social media is a channel where you can engage customers, build relationships, and indeed, generate sales. But if you’re always selling, then that is a turnoff. It’s not hard to see what kind of content on Facebook is good: If you can get your fans to stop and take notice, and then do something with what you’ve posted, then you’ve posted something good. The more you can get fans to engage, the more likely they will be to take action too. What kinds of content get your fans to engage and take action? Share your thoughts with us in the comments section below.